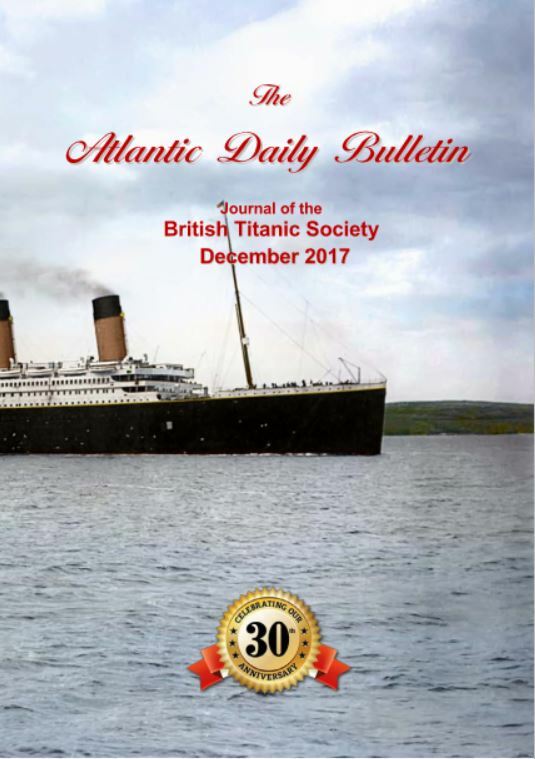 The Society’s exclusive publication is the Atlantic Daily Bulletin (the name of the White Star Line news sheet), which is issued quarterly and sent free of charge to members, by airmail if overseas. 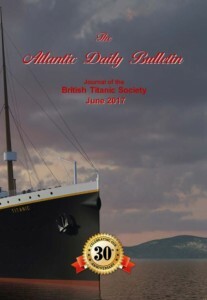 The Atlantic Daily Bulletin is a large format, full colour illustrated magazine of approximately 40 pages, which keeps members informed of current Titanic-related news, plus items of historical interest covering ships and personalities of a bygone age Members are encouraged to submit their own views and the Atlantic Daily Bulletin caters for all age groups. 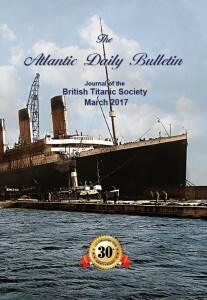 We actively encourage members to submit articles for inclusion in the Atlantic Daily Bulletin. 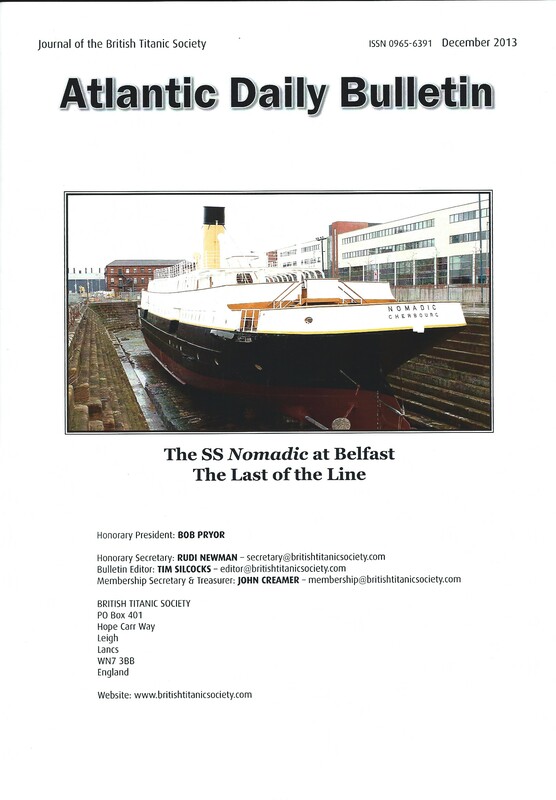 It can appear a little daunting at first to write an article, especially if you haven’t done one before, but we will give you all the assistance you require to get your work ready for publication. 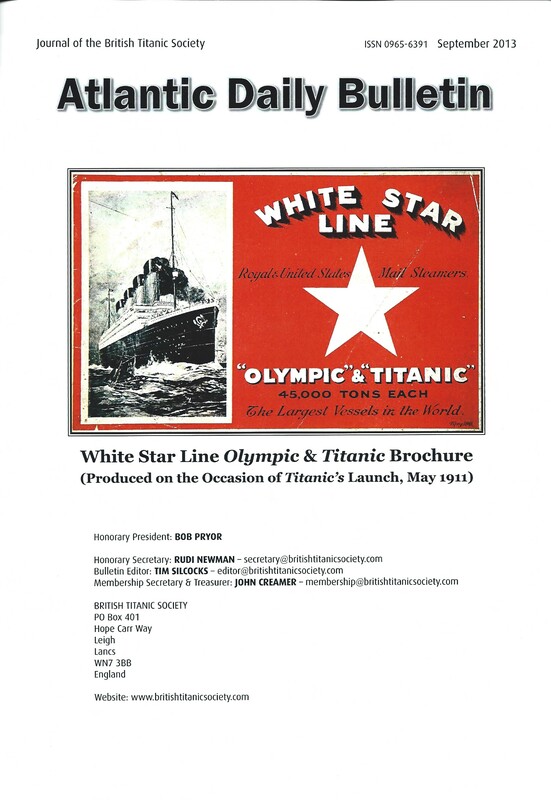 If you wish to know more then please get in touch.